Cut, cut, cut, cut, cut. The scissors created what Prime Minister, Kevin Rudd, referred to as “an incomplete document”. Jim Wallis’ book challenges the reader to consider social areas edited out of our lives. They are bits of biblical text about responsibility to the poor, and doing what is right based on moral values. The book highlights these neglected bits of text in context of the present economic crisis. The author uses the city of Detroit as a parable and discusses the concept of “recovering the Commons”. The author has twenty “moral exercises” which I thought useful for any reader wishing to engage in a practical response of inserting the text back into the “incomplete document”. Individuals or study groups could pick twenty actions to perform as a practical response. 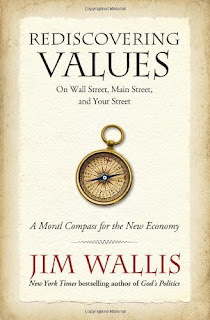 I liked the way the book did not leave the readers at Wall Street, but took them back into considering their own street. As a result, it is highly relevant to everyone.